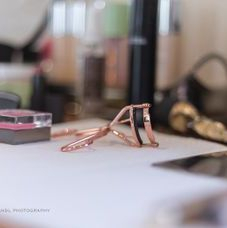 Daniela is a certified makeup artist working and living in Toronto. 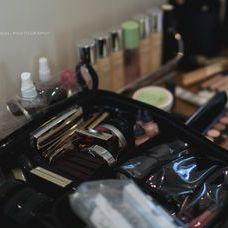 Her services include makeup lessons and makeup for all types of events including weddings, proms, corporate events and more. Daniela stays active and informed in all things beauty, as the industry is constantly changing, it is important for any professional to be knowledgeable and current. 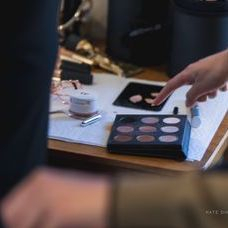 Trained professionally by some of the best artists in the industry, Daniela has found her niche in beautifying makeup- a perfect fit for brides! Daniela received her training in makeup from CMU College of Makeup Art & Design, the world leader in makeup artistry. 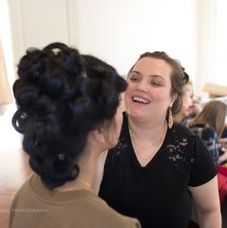 Daniela believes strongly in continuing education, and has completed courses from George Brown College, The Yorkville School of Makeup and attended seminars by MAC Pro Master Classes. Daniela has a full range of products and skill to suit any occasion, ethnicity and skin type. Huda Beauty, Dior, Bobbi Brown, NARS, MAC, Clarins, Lancome, BYTERRY, Illamasqua, Too Faced, Make Up For Ever, Natasha Denona, Becca, Charlotte Tilbury, Kevin Aucoin, BY Terry, Clinique, Tarte, Stila, Laura Mercier, Ben Nye, Cinema Secrets, Anastasia of Beverly Hills, YSL, Zoeva, Tom Ford and many more.